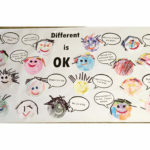 Embracing Our Differences became the “text” for teaching and learning for nearly 100 children. 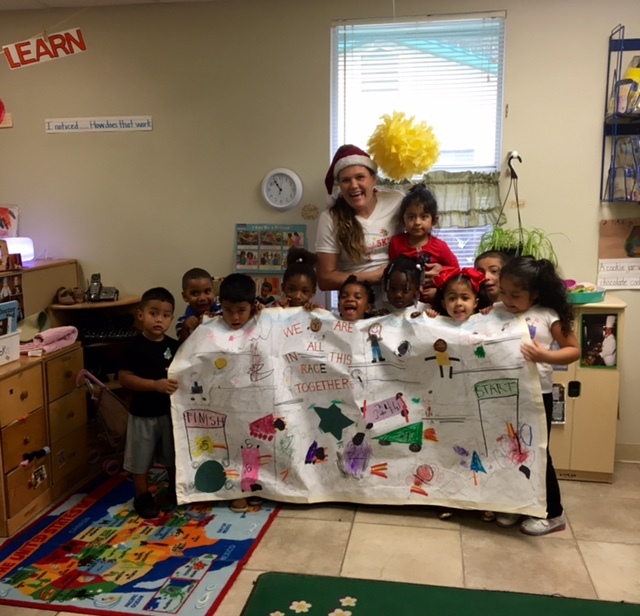 Working through the Early Learning Coalition of Sarasota County (ELC), five centers in our community participated in a comprehensive, collaborative educational experience that integrated the arts into curriculum with focus on reading readiness skills and literacy. In November 2015, Arts Literacy Consultant Shelly Dorfman led professional development for participating teachers. The evening was an opportunity to explore Embracing Our Differences through previous art exhibits, create their own art work and share strategies about how to bring this experience to children in their classrooms. A follow up meeting provided an opportunity to exhibit their completed mural and share their personal process. With the goal of creating and submitting their own art work, each classroom worked diligently to develop an understanding of what Embracing Our Differences meant. Through a variety of literature, use of intentional vocabulary and multiple art experiences, each classroom explored possible themes for their submission. During the months following the initial professional development, Susie Wells, an ELC Early Childhood Specialist, visited each site multiple times to support and provide guidance to the teachers and the children. The centers incorporated the Florida Standards, social competencies, math, vocabulary and analogies into this learning process. 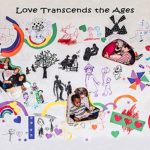 Each mural theme was unique, meaningful and exemplified Embracing Our Differences. The outcomes of this experience were many. Children gained increased knowledge of vocabulary as evidenced through pre/post assessing. Social and emotional skills were demonstrated through collaboration, empathy, and perspective taking. The valuable home and school connection was an additional benefit. Sara Snow of The Renaissance Preschool said, “It made me smile to see the teamwork and friendship during the process.”Liz Williams of A New Beginnings at the Courts said, “There were great conversations about how we’re the same and how we’re also different.” Some of the comments were priceless as we witnessed the interpretation of art through the eyes of the children.